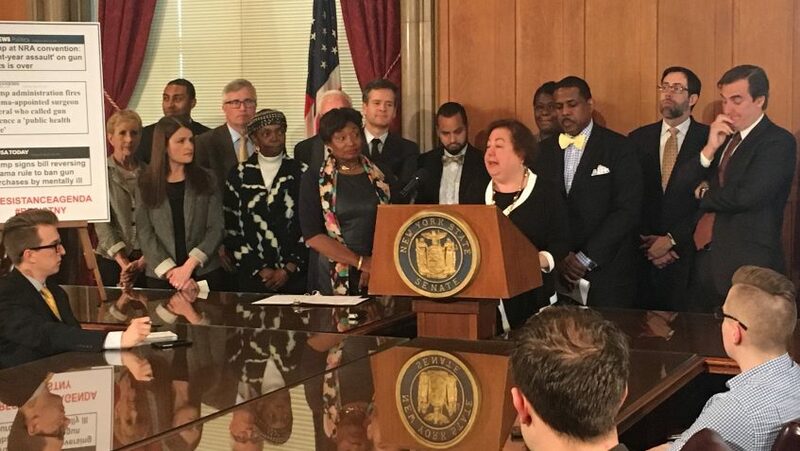 Albany – The New York State Senate Majority today passed major legislation to combat gun violence and protect all New Yorkers. The Senate Democrats have been leaders in standing up to the corporate gun lobby, and have offered a series of common sense bills to address the repeated tragedies caused by gun violence. 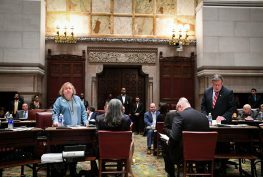 Extreme Risk Protection Orders: This bill, S.2451 introduced by Senator Brian Kavanagh, allows law enforcement officials, family and household members and certain school officials to seek a court order requiring a person likely to harm themselves or others to relinquish any firearms in their possession. Effective Background Check Act: This bill, S.2374 introduced by Deputy Majority Leader Michael Gianaris, establishes an extension of time up to thirty calendar days for national in-state background checks. Bump Stock Ban: This bill, S.2448 introduced by Senator Luis Sepulveda, prohibits the possession of a device that accelerates the rate of fire of a firearm. Preventing School Districts from Allowing Teachers to be Armed: This bill, S.101A introduced by Senator Todd Kaminsky, prevents K-12 schools from authorizing anyone other than a security officer, school resource officer, or law enforcement officer to carry a firearm on school grounds. 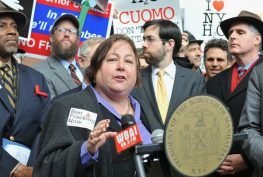 Gun Buy Backs: This bill, S.2449 introduced by Senator Shelley Mayer, directs the State Police to devise regulations for gun buyback programs so that all buyback programs across the state are operated consistently with uniform best practices. 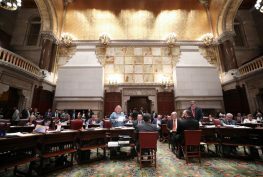 Out of State Mental Health Records: This bill, S.2438 introduced by Senator Anna Kaplan, will require out-of-state applicants for gun permits to allow New York permitting authorities to review out-of-state mental health records. 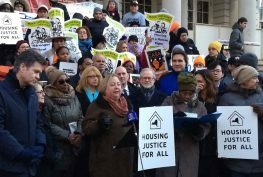 © 2017 New York State Senator Liz Krueger. All Rights Reserved.